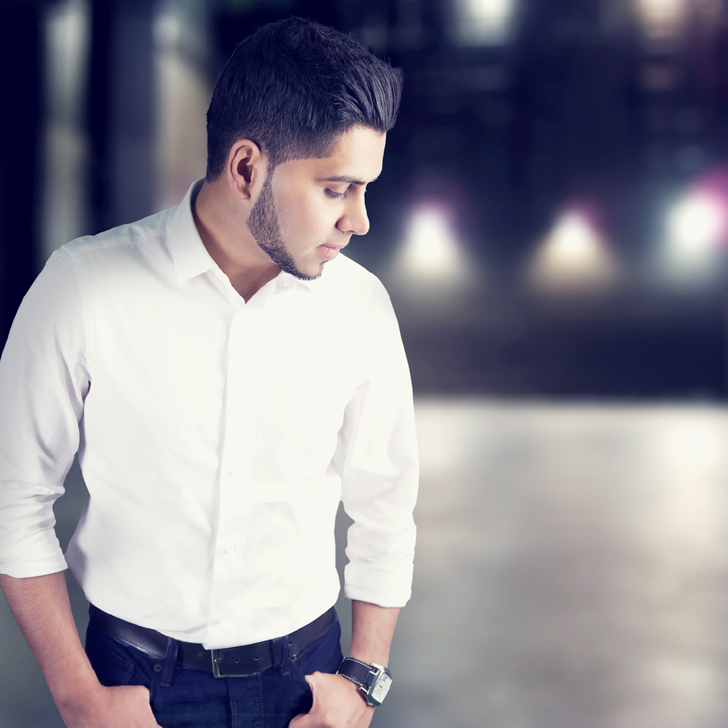 Born in November 1981 in Sheffield, United Kingdom, Ahmad Hussain is a singer/songwriter and the managing director of IQRA Promotions. He started to explore his interest in music and performance at a very early age. He had high ambitions to move forward in the mainstream music industry until he was met with many life changing challenges. The turning point in his life occurred after he lost his sister at the tender age of 28, who died suddenly while participating in a sporting activity. This prompted Ahmad to question his own life and he began searching for answers. Ahmad began to look more deeply into his faith and found the inner peace and tranquility he had been searching for, Ahmad became very inspired by the first revelation which came down via angel Gabriel to the Prophet Muhammad (PBUH) the message was clear “IQRA” (Read). In 2004 Ahmad set up IQRA Promotions a medium by which he could promote peace and unity through the art of performance. In 2009 Ahmad released his first single entitled ‘Aye Khuda’ he then went on to release his debut album in 2010 “I Turn To You” the album consists of inspirational Nasheeds in English, Urdu and Arabic with thought provoking lyrics. In 2014 Ahmad released his highly anticipated follow up album entitled “My Beloved”, which was a heartfelt tribute for his mother who was sadly diagnosed with cancer. Ahmad has travelled to many countries around the world to perform including Turkey, South Africa, USA, Morocco and Trinidad to name a few, he has also performed alongside many renowned artists including Maher Zain, Outlandish and inspirational speakers such as Attallah Shabazz, the daughter of Malcolm X.
Ahmad is a very humble individual who works tirelessly to spread the message of peace, love and unity to the whole of mankind; he often donates proceeds from his performances to many charitable projects.